As many of us know, the time has come again for the beautiful, the brilliant and the brave of the fashion world come together for the incredible event that is London Fashion Week. This year, amongst the start-studded front rows and A-lister attendees, there was some pretty celebratory tech making an appearance. 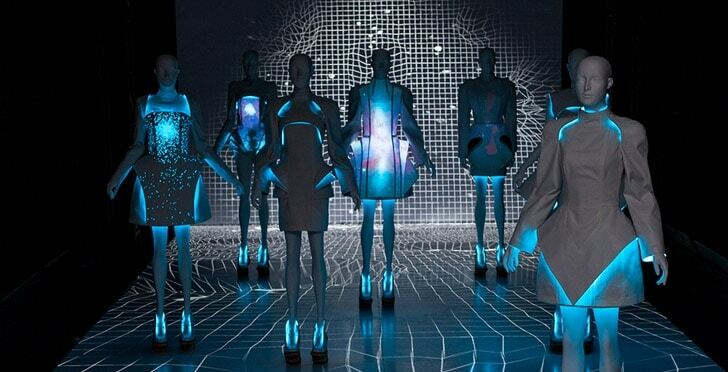 When you think of tech and fashion coming together, you might think of a futuristic creation like the image above. However, on Saturday (19/09/15) designer Henry Holland brought to life a 100 day project – between the brand and Visa Europe Collab – through accessories and digital payment. The project saw certain VIPs given a specially designed Henry-Holland ring, that featured NFC technology! The ring was linked, via Bluetooth Smart Technology, to certain pieces in the collection, allowing guests to purchase items as it was being modelled! They simply held their ring near the desired item’s tag and they could make an instant payment; whilst their purchase was bagged and processed backstage, ready to be handed to them as they left. This meeting of the technology and fashion worlds didn’t stop with Holland however. Iconic British brand Burberry also dipped their toe into the world of tech to help launch their ranges through the use of social media. The fashion house used Snapchat to debut their Spring/ Summer 2016 collection; sharing exclusive behind the scenes photos and videos direct from the Burberry design studio. After 24 hours (from 7pm 20/09/14) the videos disappeared; just in time for their womenswear show. The photo-sharing app also created a “live channel” dedicated to the label’s show that included; guests’ images, videos from the models, backstage and front-row updates, keeping everyone updated in real-time! 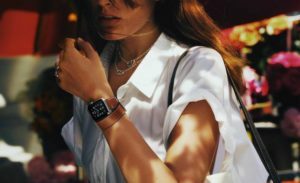 With more examples, like Hermes collaborating with Apple on the Apple Watch, it looks like fashion and tech are becoming a lot more familiar. We’d love to hear your thoughts and suggestions on how you think technology could play a more dominant role in the fashion world. Or how you think these two projects could have done better. Until next time, we hope you have a great day!